McIlroy has split with Horizon. RORY MCILROY HAS ended his association with Horizon Sports Management and will instead by managed by Rory McIlroy Incorporated. The business interests of the 24-year-old will now be managed by Rory McIlroy Incorporated, with Donal Casey, an actuary by profession with “many years of CEO experience”, acting as the compacy’s CEO. The Rory Foundation for charity will be run by Barry Funston, a business leader and long-time friend of the McIlroy family. Funston and Casey will serve on the RMI Board, along with Gerry McIlroy. It’s less than two years since McIlroy joined Conor Ridge’s Horizon, but it has been a largely turbulent period. The former US Open champion will be hoping that this change in management results in a return to his best form. Email “McIlroy announces change to management team”. 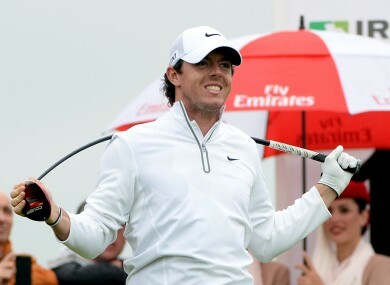 Feedback on “McIlroy announces change to management team”.